Well organised, efficient, friendly and knowledgeable. Can not fault the company. They definitely know their business and keep abreast of all changes. Jill makes tax time enjoyable and stress free. Thanks so much. JSA have processed our annual tax for between 20 to 30 years, ably assisted by Robert Julian, recently retired. We had an excellent relationship & JSA always did their best for both of us. Great service provided by JSA. Jill is very knowledgeable and very thorough. She is professional and friendly and did not rush over anything. We were very happy with the services provided and will be long term clients we feel. Jill is so patient, friendly and really makes me feel like I am a valued customer. I love how she also takes the time to explain everything rather than rush through the processes. Jill is amazing. I would recommend her to anyone. Will always be a faithfully customer. the old saying "if you find something good, stick to it" is relevant here! We are provided friendly and professional service at all times. It is a pleasure to have Jill and her team offer their services with no hesitation. 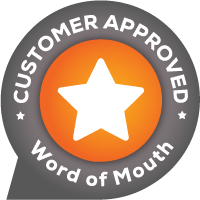 Jill was available after normal business hours and was extremely knowledgeable and efficient, great service! We are new clients to this company, I love Jill's enthusiasm towards getting our tax done, she is very passionate. We found Ian to be very supportive and made getting our tax done in a more relaxing way. Even had a few laughs. Totally not boring. We do both individual tax and a partnership,so there's a lot to get through, but he makes it easy to get through. Helpful and competent.......make doing tax and seeking advice quick and easy. I feel comfortable and relaxed doing my tax etc with them. Extremely professional. Friendly staff. Explain convoluted tax requirements simply. Even a dork like me can understand. They are the BEST Wonderful people always trying to help you in every way that is possible to do, they go far and beyond the call. Excellent group of people both financial planning and accountancy services. I've been going to Bob for 9 or 10 years. Thoughtful, careful, considered and sensitive advice. And in the context of the Royal Commission totally honest . And no trailing commissions!! I would totally recommend them. You are professional, friendly, give great advice and listen and think about the best ways to do things for me. Professional in everything they do with excellent communication . I have been using them for the last 20 years and will always come back. "Do yourself a favor and give them a go" you will not regret it. Been with them for over 20 years. Bob and Jill are excellent. Their staff know their job. They listen to you. They are here to work for you and not for themselves. Jill and her team are amazing. They always look after our accounting needs in a professional yet friendly manner and nothing is ever too much trouble. We highly recommend then. Highly recommend JSA. Jill is amazing, especially on a calculator. Thanks for everything you do for us. Much appreciated. Always have a great tax time experience with Jill at JSA, as she always seems happy to go the extra mile. Even when I don't get a return! Jill at JSA is fantastic. Best accountant I have dealt with and is saving me lots of money. Would recommend JSA to anyone. very knowledgeable and easy to understand, happy to recommend to anybody with a complex tax return. I'll be back next year. Professional, friendly service. We have been using JSA for both our tax and super needs for several years now and very happy with our service. The cost of all we have done is very affordable and we would have no hesitation in recommending them to others. I have been a client of JSA for many years,and have received excellent professional service. I would definately recommend their service. Prompt, high quality service providing a range of specialist staff to suit client needs and very competitive rates. Highly recommend this business and as a new client, i will be returning. I have been using these accountants for the past 3 years and wouldn't go anywhere else. Jill has sorted out all my previous tax issues and explained everything so clearly, that instead of dreading 'tax time', I now look forward to completing my returns. This is an honest, affordable and knowledgeable accounting practice, who aim to give you the best outcome possible. Highly recommend JSA accounting and sincerely thank them for their services. We have been a client of JSA for years and have always got great service. We live interstate now, but have continued our relationship with JSA because of the service we have received. Always provide an appointment within a reasonable time. Affordable, efficient and friendly. Would recommend to anyone looking to do tax or get financial advice. Edcom has been involved with my financial affairs for over 20 years. As the business has grown, all staff with whom I have worked have shown the commitment and dedication to providing the best possible client service that has been modelled by Bob Julien. I would especially like to mention Graham and Jessica for their exceptional support and advice. I have used JSA for many many years. But since becoming part of the "transition to retirement" community I have had many issues. The reason I go to a tax agent is because I don't find this type of thing easy. Jill has sorted them for me, but it has taken a while. We have been provided with an excellent service by the JSA Team for many years. Jill is exceptional in her field of work. Well done JSA. very professional. Jill has great taxation knowledge and is very personal. She is able to elicit the information necessary to complete the form with ease. She is able to spot possible tax deductions well and has an extensive knowledge of the rumifications of retirement and property investment. We're happy to highly recommend JSA Accounting. The customer support is excellent and their guidance to help make our small business more streamline is invaluable. We have found the service,support and advice excellent, it is a pleasure working with JSA and would definitely recommend them. Great customer support and information,all of the questions answered,according to my needs. I'm more than happy with the work from all the staff at the office. We have been using JSA for around 3 years now. We have been extremely happy with the service we have received. Everyone is so helpful and professional. I highly recommend them. Robert has managed my tax returns for many years, and during that time he has provided sound, well explained advice, and provided a professional service of consistently high standard. He now oversees my SMSF. I have recommended him to others, who also appreciate his calm, friendly manner. I switched to JSA 2 years ago and have been very happy with the support received by Bob, year round support has helped me identify a few areas i can reduce my tax bill. I have been going to JSA for 23 years. Have always been very satisfied with the service. I would not hesitate in recommending them to anyone. Ian was really nice. Professional, and really tried to get us the maximum return possible. Highly recommend him. He was funny, had a firm handshake, and never made us feel bored. Saved us money too. Genuinely a nice guy. Super professional. Best tax return we'd had in years. Brilliant, professional and friendly service from Jill, Bob and a great team. Many thanks for all your efforts over the years. Your work is greatly appreciated. Thanks to Bob and his staff in assisting us with our Tax Returns for 26 continuous years and now taking our son on-board as a new client. Catch up again next year. Thanks again Jill for your help and guidance. Professional service and flexible with meeting times. See you next year. Very professional, friendly and highly competent staff. Staff continually upgrade their knowledge. We have used this business for over 20 years. We highly recommend their services. I am very Satisfied with your presentation of my taxation return - Wilfred Taylor. I have been using this company for several years because they are specialists for education and community services. Staff are always organised and professional and provide prompt and helpful advice. Tax returns are prompt, too! Absolutely friendly helpful and professional. Staff take a personal interest in you as a person not just your finances. Also make great coffee whilst you are waiting. Never seems rushed. I have always found JSA accountants to be professional, accurate and organised. I forward my information and it's all prepared and ready to be put together when I arrive. I can always get an appt. at a time that suits my busy life, which I appreciate very much. My children now use JSA for their accounting needs also. Brilliant company, always friendly, highly efficient, thorough and professional. Only regret we didn't find them sooner. Friendly, reliable and professional advice. Very thorough preparation of tax and self managed super fund from knowledgeable staff. Highly recommend JSA as I have been a very satisfied client for over 25 years. Excellent in every way! Robert Julian has prepared my tax return (and Edcom) for many years now. Professional advice, friendly and knowledgeable always enabling me to get the maximum refund owing to me. I recommend them highly! Friendly, efficient and professional team. Have been one of their customers for years and can not fault there service. Congratulations JSA you are a great Company. Wayne Carson. Excellent and efficient staff. Jessica is particularly helpful and knowledgeable. Highly recommend this business for all your taxation needs. Very pleasant staff who all do a great job. Nothing is too much bother for anybody there. Professionalism is very obvious. Professional, friendly service. Always available for assistance when required. We have been using JSA Accounting since our Small Business commenced and would not change. Efficiency, expertise and courtesy is of the highest order across all the services we engage. JSA has prepared our tax returns across a range of our enterprises for more than 20 years keeping us abreast of book keeping practices, financial planning and tax returns. A truly great asset to our lives. We have been using JSA for 3 years and have always had exceptional service from them, especially Jill. The staff here are every helpful at all times. Every query we have is answered straight away or at worse a couple of days. Received more assistance from these guys in a 3 hour session than in 9 years from our previous accountant. Well done JSA no fuss just getting the job done. Fantastic Friendly staff! They actually spend the time getting to know you and your Business. Not only do they offer Accounting Services, they are Networked deep with in the Community and one stop shop for recommendations to other local Businesses. Not only are we a Customer of JSA Accounting for our Business requirements they reached out to us (Compute Your World) for IT Solutions. We have struck a beautiful Business Relationship, Southern Businesses Supporting each other. We are very proud to recommend JSA Accounting to anyone, they are worth while the visit. EdCom Taxation in the City handled tax returns for my wife and I. We're both teachers and the folks at EdCom knew what deductions we could claim, how much we could claim and basically made the whole process very easy. I would highly recommend them for other teachers or people in the education sector who are looking for friendly well-handled tax services. We have been using Edcom taxation services for a number of years. Always very thorough and friendly. Great at answering our questions too. I have been going to JSA since 1993, have never even considered another accountant. I am very satisfied with the service. Really friendly, efficient and excellent service. A big thank you to all the team at JSA. I have found the quality of service at JSA very professional, efficient and friendly. I have no complaints and will continue to use them for a long time. We have been clients for many years seeing the Director Bob Julian. JSA Accounting and Financial Planning must be good, we going back. I've been with JSA for 6+ years for business, investment and personal tax needs and am always extremely pleased with the service, the professionalism and the friendly staff. Jill is always extremely patient and supportive with all business questions I have at any time. I encouraged my fiance to switch to JSA last year and Jill immediately found him additional deductions that his previous accountant had missed - resulting in a bigger return for him, so he's thrilled with the service too. Needless to say, I've referred multiple of my own clients to JSA over the years too! Thoroughly professional approach to preparation of annual tax return by Ivee. Timely and painless. I recently took advantage of the free first consultation.i had a chat with Belinda regarding an upcoming business venture.Belinda was professional and friendly and answered all of my concerns without pressure or clock watching.i look forward to working with her in the future. We have been coming to Edcom for almost 20 years. In recent times we have been looked after by Ivy, who has been so helpful and professional and we have a terrific relationship with her. Can't speak highly enough of the service and the best outcomes for our financial needs. Being new at owning a business Jill is always more than willing to help, advise and put us in the right direction. Brilliant company, Nothing is ever a problem. Highly recommend these guys. Very efficient. I have a relationship with Bob and the team at JSA spanning appx 30 years. The advice has always been sound and I have developed a strong trust in the quality of their outputs. Graeme has been doing my tax for the last 25 years. I have always been very happy with my tax returns. I really appreciate his professional and friendly manner. It is like visiting a trusted friend each year. Thank you Jill for the prompt service and expertise. You make tax time easy and pain free. I have been coming to JSA for 20 or more years and I keep coming back, that must say it all. A very happy client. Jill and her team at JSA are both friendly and very professional. For the past three years Jill has guided me through the Tax Return maze with knowledgeable sound advice. Because the service is always quick, friendly and helpful and don't have to wait ages for an appointment. I went to the city branch and met with Ivee and have been for a number of years. Would recommend. I've been using the services at JSA for the past 5 yrs, they always maximise my return. It's always easy to get an appt when it suits me and the advice is always ethical & solid. I have been seeing Jill for 5 years now and I am really impressed with her information, support, care and professionalism. I was referred to JSA Accounting a few years ago. I have been to see Alwyn during the last few years to lodge my tax returns. He is very professional, astute and friendly. While I was running a business he dealt with the complexities of my circumstances very thoroughly and efficiently. The staff in the office have always been very friendly and accommodating too. Superannuation, financial advice and personal tax JSA give excellent reliable service. Have bee seeing Bob since 1995 for these services. My case was a nasty, protracted taxation problem. Jill was patient, kind, efficient and very clever. Was wonderful to have her guidance and assistance through such an administrative nightmare! Reception staff also excellent; friendly and very helpful. I am very happy with the tax return service I have received from JSA Accounting over many years, Thank you. Consistently reliable and professional service for our annual tax return preparation. We have been return clients for over 10 yrs. Always available to answer queries. Always willing to assist and solve any issues. Always Professional in dealing with us in regards to our business and personally. Always friendly and take time to communicate. Fantastic accounting Service! Jill- You are truly amazing! I can not say in words how much I appreciate your professionalism, effort and true care about our business and it's success! I really like JSA Accounting because Jill Hoadley has always given such sound advice and is a nice person. We have been clients of JSA for more than 30 years beginning with tax return preparation and then financial advice and management. Recently we have also adopted an online book keeping program enabling us to manage our small business accounting resulting in seamless tax return preparation. The professional support in each area of engagement is nothing less than outstanding. Punctual, reliable, thorough, adaptable and responsive to our needs. JSA have been instrumental in producing peace of mind, integrated financial services and excellent financial results. Superannuation tax/audit and personal tax. JSA give good service at a good price. No complaints at all. Caring, personal, friendly service. Never felt intimidated or inadequate about the smallest question. Accountants & staff that listen & are happy to explain & share their knowledge. In short, a great bunch of people! As a small business owner, being surrounded by people who are in tune with your business and support your success is vitally important. Jill plays an integral part of my success as a trustworthy and creative source of information. Making light of the increasingly intolerable tax bundle each and every year. I highly recommend Jill both on a personal level as she is great to work with, and on a business level both for her creativity and consistent interest in my business success not only now but for the future. My partner is a tradie, slightly unorganised and hadn't done his tax return for multiple years. JSA Accounting completed his returns and helped him find all the necessary information to find deductions he didn't even know he could claim. Belinda is our accountant, a very knowledgeable and likeable team member - she also completes my yearly work for my freelance make up business and answers any question I throw at her throughout the year. A very professional & friendly team who go above and beyond for their clients. very professional and helpful with tax returns will be back this financial year. They were happy to answer any questions we had. I would recommend JSA Accounting,i have my yearly tax and financial issues dealt with in a friendly and professional manner. I have used this company for a number of years, from owning my own business to being employed by a company and have complete confidence that they have my very best interests at heart. Bob is great. My husband and I have had our Tax Returns completed by JSA Accounting for more years than I can remember. We were both in education and are now retired and greatly appreciate the way we are treated with respect and courtesy. Any queries we might have are answered promptly and we are always completely satisfied with the work and customer service provided by JSA Accounting. I only use the service for my tax return and I am very pleased at the service and the understanding given to me. The service is up to date with all the necessary findings from the tax department. I have been with JSA only a few years but it was the best decision I have made in regards to accounting needs for my small transport business, JSA has been providing all of my general business accounting needs, I have found the company and especially Jill Hoadley to be extremely competent knowledgeable and professional and understanding of my needs as a small business owner. JSA have provided a prompt and somewhat personal service, in every accounting aspect of my business and have been willing to go the extra mile to help me obtain positive outcomes with other institutions to help my small business grow. I highly recommend JSA and the JSA team as a whole to anyone who may be in need of an accounting change. It has been one of the most positive moves my business has made. Taxation. Have been with Robert Julian since 2005, moved to Queensland 2006 and still continued to use his service, as we found Robert and his staff to be friendly, very efficient, honest, and sincere. All work has been hassle free and there has always been a contact between us and the office. My husband passed away last year and nothing was too much trouble, by phone or email for them to help me gather the appropriate paper work I needed. Their business just runs so very smoothly. I'm a teacher and they have always understood the deductions which relate to my work. My accountants have only changed 3 times in over 20 years which is great. Nothing worse than coming back each year to someone new. Bobcat & Tipper Hire Tax Returns - Robert Julian has always provided perfect advice with an extremely professional and friendly attitude. After about 25 years he is the only advisor that I would trust. Very Highly recommended to anyone who enquires about his knowledge. The staff are all very good, nothing is ever too much trouble for them to do. Taxation returns since approx. 1995. We have never had any problems with work done and always received returns for things we may have omitted ourselves. Staff always are friendly and welcoming and reminders are sent out. With almost 30 years of service provided to our family, including tax returns, creating our SMSF, returning super from overseas etc., we have found Robert Julian to be diligent, courteous, professional and proactive in his dealings with us. As a team, JSA accounting are competent and confident in the work that they do, they gel well together as a team with each one as competent and helpful as the next. We look forward to the next 30 years of service and would highly recommend JSA Accounting to anyone looking for sound financial advice, planning and execution. My family and I had the pleasure of using the services of JSA Accounting for our income tax returns and have nothing but praise for the service and professionalism. JSA Accounting handle all of my book-keeping and accounting needs, from payroll, quarterly BAS, and end of year work. The team at JSA are reliable and proactive in their approach to my business. I have been a client for 20+ years and happily recommend their services. ASEC have been clients of JSA Accounting since April 2003 which is one year on from our inception. Our direct dealings began with Robert Julian who has proven his abilities as a forward thinking and detailed accountant. In later years, he teamed with Jill Hoadley, creating an incredibly diverse and intricately detailed team that has guided our company successfully throughout all the positive and negative issues that all companies inevitably endure. Testament to their professionalism, they have always made themselves available to us when we have required specialised advice as to the next steps that the company may need to take to combat changing business environments. I credit a lot of the success of our company to our accountants, as without their consultations to steer us in the right direction, we may not have had the solid foundations that we work with today.